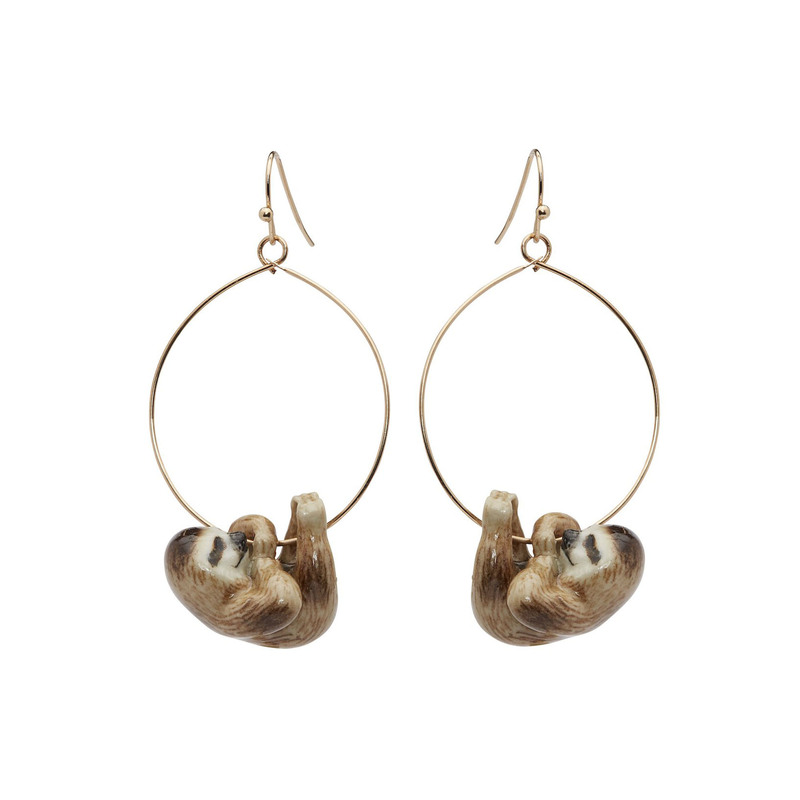 These sloth hoop earrings are a unique accessory to add to your jewellery collection. These are classic gold-plated hoops with a difference, featuring two adorable sloth charms on each hoop. The sloth charms are handmade from porcelain and painted to add detailing of the sloths. As the earrings are made from porcelain, please take extra care when wearing the sloth earrings.